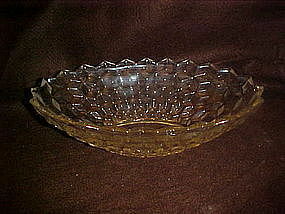 Fostoria Americam oval bowl 11 1/2"
Lovely large oval vegetable bowl by Fostoria in the American pattern. Measures 11 1/2" long and is 3 1/8" deep/ Perfect condition and gorgeous! What a find fo your collection!